One thing I try to do in Negligence is keep continuity. It's not easy when there are almost 500 comics, but it's something I pride myself on. 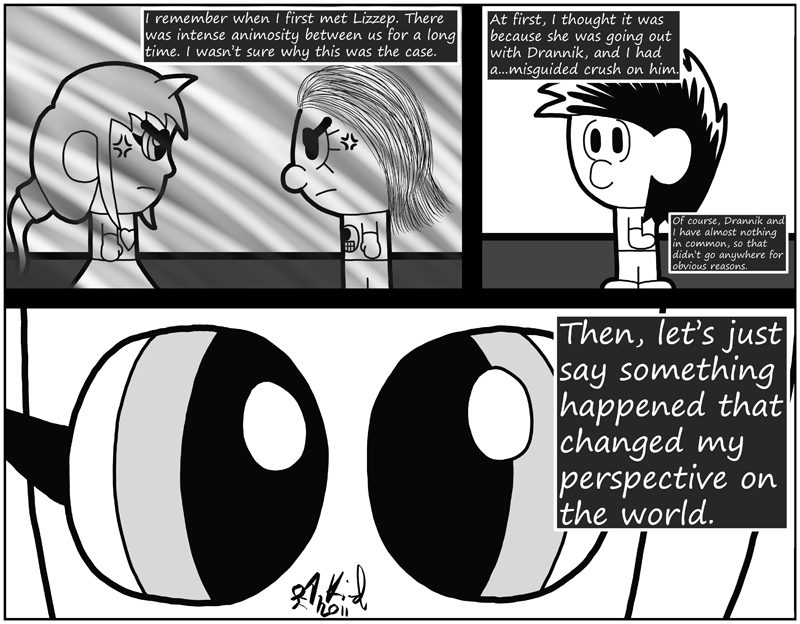 Also, the first panel shows what Ojmiz and Lizzep originally looked like a long time ago. I have not drawn Ojmiz like that in almost two years, and now I remember why: it doesn't look that great.